Is English law related to Muslim law? In London’s historic “Inns of Court”, barristers practise law in the shadow of the distinctive medieval Temple Church. But does English law really owe a debt to Muslim law? For some scholars, a historical connection to Islam is a “missing link” that explains why English common law is so different from classical Roman legal systems that hold sway across much of the rest of Europe. It’s a controversial idea. Common law has inspired legal systems across the world. What’s more, calls for the UK to accommodate Islamic Sharia law have caused public outcry. The first port of call when looking for an eastern link in the common law is London’s Inns of Court. “You are now leaving London, and entering Jerusalem,” says Robin Griffith-Jones, the Master of the Temple Church, as he walks around its spectacular rotunda. The church stands in the heart of the legal district and was built by the Knights Templar, the fierce order of monks-turned-warriors who fought Muslim armies in the Crusades. London’s historic legal district, with its professional class of independent lawyers, has parallels with the way medieval Islamic law was organised. In Sunni Islam there were four great schools of legal theory, which were often housed in “madrassas” around mosques. Scholars debated each other on obscure points of law, in much the same way as English barristers do. 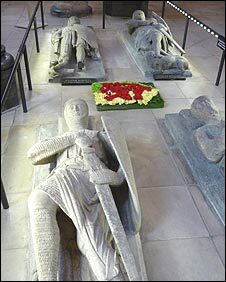 There is a theory that the Templars modelled the Inns of Court on Muslim ideas. But Mr Griffith-Jones suggests it is pretty unlikely the Templars imported the madrassa system to England. They were suppressed after 1314 – yet lawyers only started congregating in the Inns of Court after the 1360s. This doesn’t necessarily rule out the Templars’ role altogether. 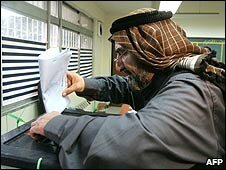 Medieval Muslim centres of learning were governed under a special legal device called the “waqf” under which trustees guaranteed their independence. In an oak-panelled room in Oxford, historian Dr Paul Brand explains the significance of the 1264 statute that Walter De Merton used to establish Merton College. He was a businessman with connections to the Knights Templar. 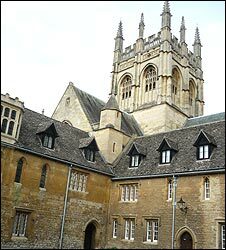 The original 1264 document that established Merton has parallels with the waqf because it is a “perpetual endowment” – a system where trustees keep the college running through the ages. It’s been used as a template across the Western world. Dr Brand says many branches of Western learning, from mathematics to philosophy, owe a debt of gratitude to Islamic influence. Advanced Arabic texts were translated into European languages in the Middle Ages. But there’s no record of Islamic legal texts being among those influencing English lawyers. And Dr Brand pointed out the Knights Templar were, after all, crusaders. They wanted to fight Muslims, not to learn from them, and they were rarely close enough to observe their institutions at work. But the fact remains that England in the Middle Ages had very distinct legal principles, like jury trial and the notion that “possession is nine tenths of the law”. And there was one other place in Europe that had similar legal principles on the books in the 12th Century. From the end of the 9th to the middle of the 11th Century, Sicily had Muslim rulers. Many Sicilians were Muslims and followed the Maliki school of legal thought in Sunni Islam. Maliki law has certain provisions which resemble English legal principles, such as jury trial and land possession. Sicily represented a gateway into western Europe for Islamic ideas but it’s unclear how these ideas are meant to have travelled to England. Norman barons first invaded Sicily in 1061 – five years before William the Conqueror invaded England. The Norman leaders in Sicily went on to develop close cultural affinities with the Arabs, and these Normans were blood relations of Henry II, the English king credited with founding the common law. But does that mean medieval England somehow adopted Muslim legal ideas? There is no definitive proof, because very few documents survive from the period. All we have is the stories of people like Thomas Brown – an Englishman who was part of the Sicilian government, where he was known in Arabic as “Qaid Brun”. He later returned to England and worked for the king during the period when common law came into being. There is proof he brought Islamic knowledge back to England, especially in mathematics. But no particular proof he brought legal concepts. There are clear parallels between Islamic legal history and English law, but unless new historical evidence comes to light, the link remains unproven. 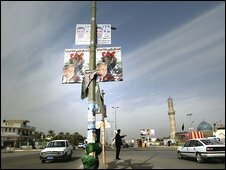 Eighteen people have died and another 75 were injured after a female suicide bomber struck in southern Iraq. The female attacker blew herself up while among a group of Shia pilgrims in the town of Iskandariya. One witness said women were cooking dinner and children were playing when the explosion occurred. Thousands of pilgrims are heading to the holy city of Karbala for a major religious festival this weekend marking the birthday of the 12th Shia imam. Ahmed al-Saadi, a 34-year-old carpenter from Baghdad’s Sadr City district, told the Associated Press news agency: “Minutes after I passed the resting spot, I heard a big explosion. I turned my head back and saw big flames. Iskandariya had seen a recent decline in violence due to an influx of US troops and a Sunni backlash against al-Qaeda. Tens of thousands of Shia pilgrims are expected to flock to Karbala this weekend.